Dimitar Berbatov has to start for Manchester United in their home clash with Blackburn and he may prove one of the most popular betting angles for the Old Trafford encounter. It is second against bottom at Old Trafford and it is no surprise that Manchester United are as short as 1/7 to collect the three points that would guarantee their spot as league leaders at the start of 2012. A victory would also give Manchester United their best ever points tally at the halfway point of a 38-game Premier League season and the team to be top on New Years’ Day have won the league in seven of the last eight campaigns. With Manchester United a virtually unbackable price, punters will be looking for other betting options and some will side with Berbatov. The Bulgarian scored a hat-trick in the latest win over Wigan and will be remembered for scoring five against Blackburn in the Premier League last season at Old Trafford. 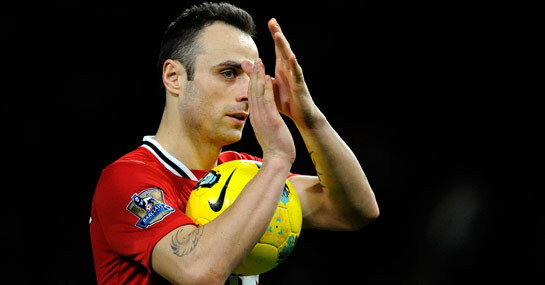 It is 3/1 in the Premier League odds that Berbatov scores first against Blackburn and 8/1 that he grabs another treble. However, Sir Alex Ferguson has a selection dilemma with Javier Hernandez needing games after returning from injury, Wayne Rooney wanting to return to the starting line up and Danny Welbeck hoping to build on a fine start to the campaign. It is the headaches that Sir Alex has at the other end that will have Steve Kean believing that Blackburn can repeat their only win at Old Trafford in the Premier League, back in 2005. A raft of injuries may mean that Michael Carrick will partner young rookie Ezekiel Fryers at the heart of the defence, unless either Rio Ferdinand or Phil Jones can make a swift return from injury. Blackburn’s odds are 16/1 to beat Manchester United, while it is 13/2 that they repeat the draw they gained at Anfield against Liverpool in their latest Premier League fixture.